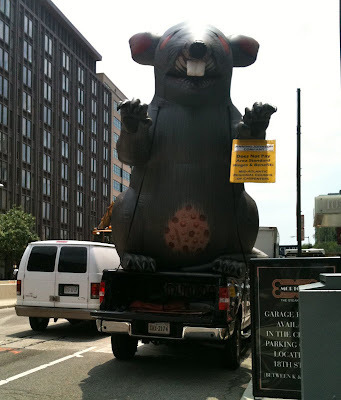 This creepy, gross, inflatable giant rat greeted me as I came out of the post office on my lunch break. From what I gathered he was being used to "stick-it-to-the-man" by the angry protest group that was marching around him. Um.... yeah. I wont pretend to understand what they were all worked up about- or why they chose a rat as their mascot. At least I can say D.C is never boring!